If the season is summer, choose bright colors for your wedding bar to match your sunflower centerpieces. 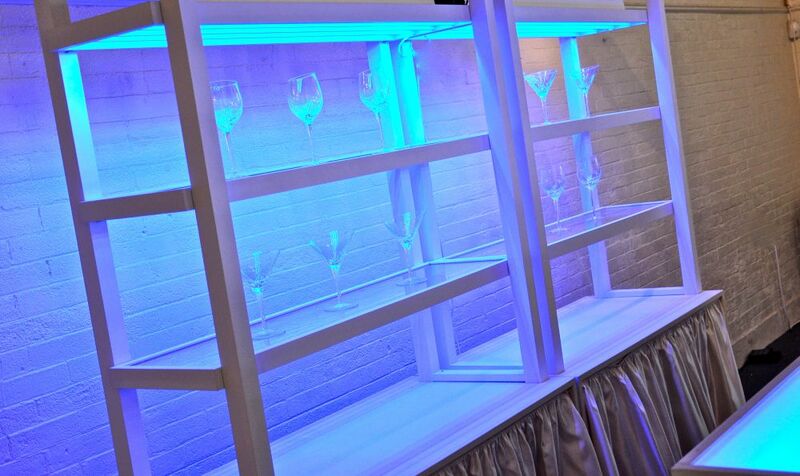 If your wedding takes place in the cool months of a Boston winter, let Beverage Events Wedding Bar Service program the bar lighting to jewel tones and inlay it with crystal blue fabrics. 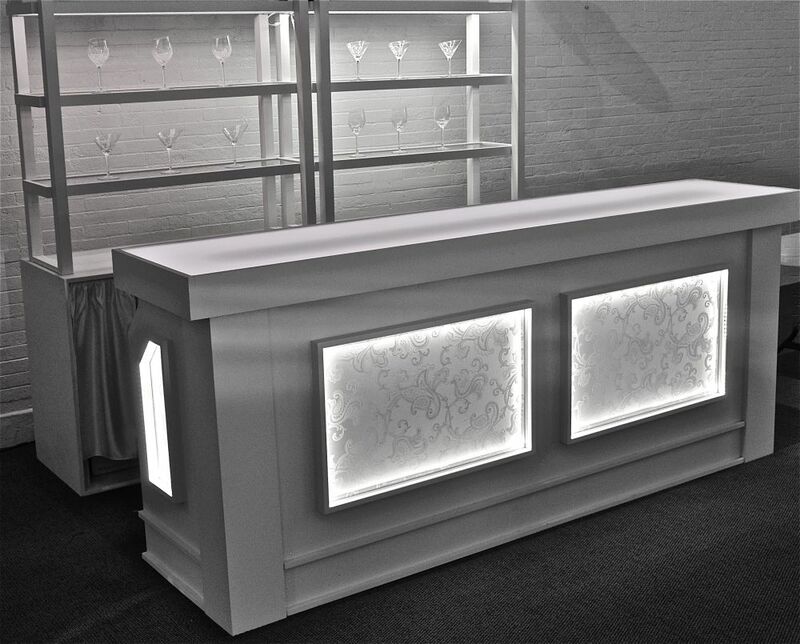 Nearly each piece of the wedding bar service can be switched, changed, programmed, turned on or turned off to match your exact specifications. Lighting colors can be programmed to pulse with the music your DJ spins or that the band taps out on the drums. Or, if you’d like something less intricate, your portable wedding bar can be programmed to automatically change colors throughout the evening. If you have extra table linens or special fabric that exemplifies or enhances the theme of your wedding, Beverage Events can use your fabric in the front panels of the bar. This way, even the bar will perfectly coordinate every detail of your special event that you so carefully selected. You can match it to the flowers, the walls, the cake, anything. The ways to enhance your décor are nearly endless with such a changeable bar – so get creative! Or, let Beverage Events Wedding Bar Service of Boston make suggestions for you if you feel overwhelmed by the possibilities. A crisp, crystal blue motif, perfect for an icy Boston winter wedding.